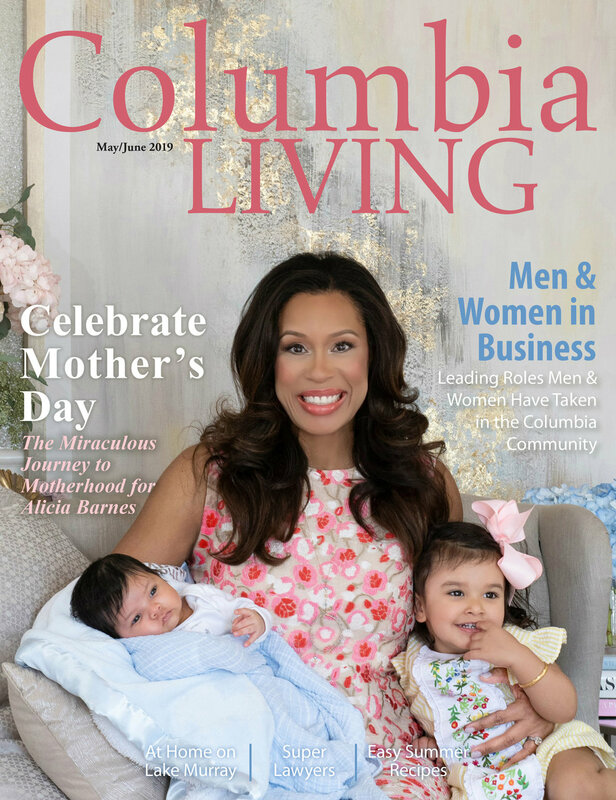 The Alicia John Collection is featured in May/June 2019 issue of Columbia Living Magazine. The Alicia John Collection is exclusively on Charleston’s Historic Gallery Row. Please visit Neema Fine Art Gallery, 3 Broad Street, suite 100, Charleston, South Carolina 29401. Preview the Alicia John Collection exclusively in Columbia, SC at Aloft Columbia Downtown. Original artwork is available for sale on hotel guest floors and in the hotel lobby. We all need to be encouraged and inspired. Life is about laughing and living in good and bad times. I hope my paintings remind you to seize the day. You may know me as Alicia Barnes. My background is in TV Broadcast News. I use my married name Alicia John to pay honor to my amazing husband for his support of my career as an artist. I create acrylic textured abstract art using modern colors that I discover while traveling. My work is meant to be timeless. I find hues, then mix them with something else, so the colors are truly original. I use 24 karat gold leaf from India on all my paintings. It's my signature. I am self taught. My work is 100% original and comes from my own imagination. It's my hope that when you look at an Alicia John painting you feel all types of emotions that create a warm feeling inside. My first painting was inspired by my struggle to have a baby. It's called "Unknown Family." We welcomed our first born little girl 2 years later. It has sold more than a dozen times. All originals, painted slightly different. To date I have sold more than 300 paintings.